13 April, Holy Thursday: After being on the road for almost 12 hours, it was a relief to arrive in Magsingal, Ilocos Sur.T he birthplace of the delicacy, tinubong (yummy glutinous rice cooked in whole bamboo tubes with coconut gata), it will serve as our homebase for the next 3 days. Being the lazy driver I am, this looong, looong drive is a novelty to me. Pero hanep ang scenic views along the way. The Magsingal church is splendid, as with the munisipyo. 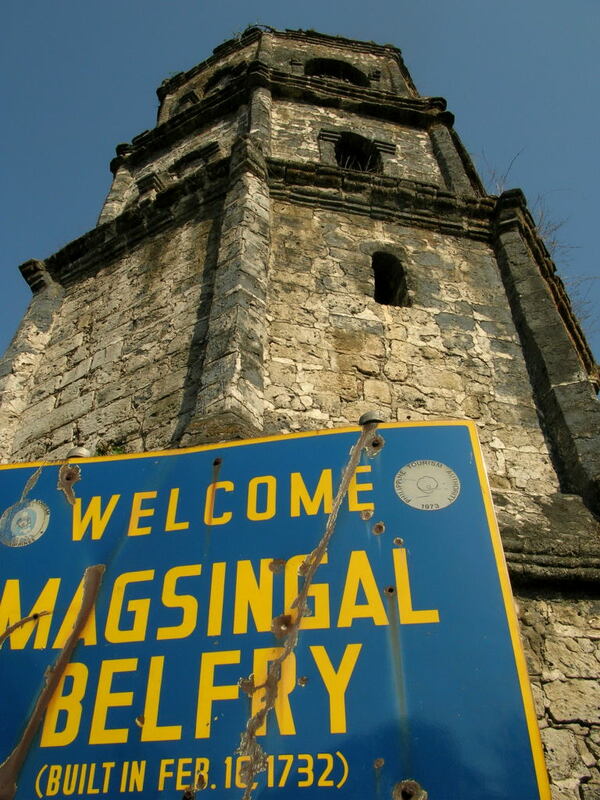 Featured in the photo is the Magsingal belfry. Before I forget, thanks to Kay and her relatives for being so accommodating. mukhang mawiwili kami nito, hahaha.